Posted by Administrator on February 25, 2018. February signaled the return of the long anticipated Natwest Six Nations and amongst the smitten of protests and hours of playing back the TMOs by fans across the globe i.e. “Did Wales score the try or not?”, one thing that cannot be denied has been the outstanding performances by all the teams throughout the competition. After Round 2, Ireland is at the top of the table ahead of England although both are at nine points from two wins each. 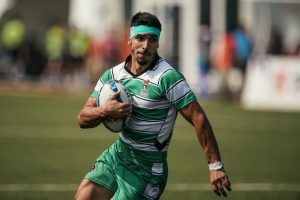 Ireland sees itself at least temporarily in front of the 28-time champions due to an 11-point difference having slipped passed France 15-13 in the first round and then convincingly dispatching Italy 56-19 in Round 2. England beat Italy 46-15 and Wales 12-6 and next face a recovering Scotland side at Murrayfield in Round 3. 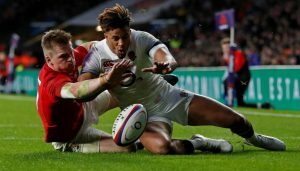 Eddie Jones must have been pleased with the continuous improvement of his team especially with his forwards increasing dependability and discipline, with standout plays by Joe Launchbury and the ever-solid Maro Itoje. Playing against a determined Wales side that included some brilliant plays from fullback Gareth Anscombe and loose forward Aaron Shingler, England’s defenses kept Wales from producing a try despite coming very close in the 23 rd minute with TMO ruling Anscombe did not exert downward pressure on the ball. 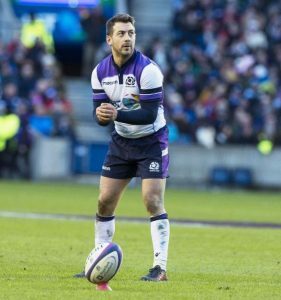 With Greig Laidlaw back at scrumhalf for Scotland, it will be interesting to see whether a battle of the penalty kicks will repeat itself again when England take them on, or whether Jonny May, Owen Farrell and Anthony Watson will go north and bring some more spectacular back play as they did against Wales and opt for tries instead of penalties. France is looking for their first win in eight matches as they head to Orange Velodrome to face Italy in Round 3. Playing against Scotland, winger Teddy Thomas scored two superb tries in the first half but the team ultimately succumbed to self-discipline issues and consequently Laidlaw’s flawless kicking to go home with a loss of 32-26. Sadly, Thomas and a number of his teammates have not been selected to play against Italy after “unsuitable behavior” and questioning by police after the Scotland game, which will further add to France’s recent predicaments as they continue to consolidate and get back on track. Across the Atlantic, a less publicized but no less exciting Americas Rugby Championship is also underway with the USA shockingly beating Argentina 17-10 in the first round and then continuing their run, defeating Canada 29-10 and Chile 45-13 in the next two rounds. 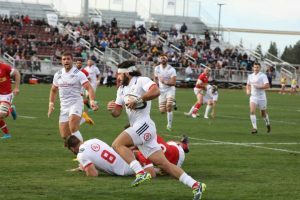 An Americas Rugby stalwart, Canada went into the Championship on the back of a loss to Uruguay which saw them miss out on a spot in Rugby World Cup 2019 Japan. Playing at Papa Murphy’s Park in Sacramento, Canada was outgunned and outrunned by Ryan Matyas and friends with poor tackling and a general lackluster performance keeping them from producing their best. Argentina bounced back from their defeat at the hands of the USA with convincing wins over Chile, 57-12 and Uruguay, 34-17. 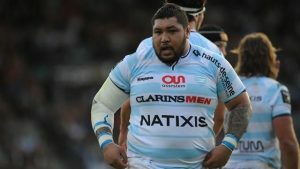 Uruguay center Cat Piccardo crossed the line at the 7 th and 14 th minute mark tosee Uruguay lead 0-12 before Argentinian Juan Cruz Gonzales crossed the line in the 23 rd minute to score the Jaguares first points. 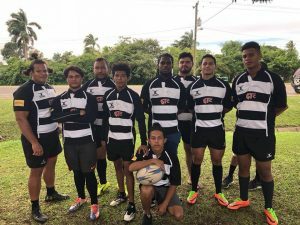 Argentina went into half time leading 15-12 thanks to another try by prop Francisco Ferronato which was then converted by Gonzales, along with a penalty kick by the Argentina number 10. The second half saw Uruguay fly-half Albannel Herrera score five points to briefly regain the lead before a fourth quarter onslaught of tries by Schultz, Etchart and Mensa eventually saw Argentina take the win 34-17. With the start of Super Rugby just around the corner, the next few weeks sees countless exciting fixtures to be had for avid Rugby fans worldwide. True Rugby fans will no doubt be enthusiastic to see all the upcoming action from across the globe. Here’s to action packed stadiums and sleepless nights, Internet stream-searching and watching games with your team at the local! Quick poll for you readers: Do you think Gareth Anscombe scored the try?